In the Rolling Stone Critics Poll for 1983, the Album of the Year was Murmur, R.E.M.’s debut LP. Curious what the Number Two album was? Thriller. Number Three? War, by U2. Please remember that in February of 1984 when the results of that poll were announced, Michael Jackson had not yet become a punchline. Quite the opposite. He had been a massive superstar for well over a decade and was universally beloved, kind of like the E.T. of pop music. Thriller, meanwhile, had been praised by critics and adored by fans, and was well on its way to becoming one of the best-selling albums of all time. As for U2, War was the band’s third album and the group had already become a sensation both in the U.S. and the U.K. Its members bluntly stated that they wanted to be the biggest band in the world. Affinities would soon develop between U2 and R.E.M. but in 1983 the bands couldn’t have been more different. For its part, Murmur had momentarily entered the Top 40 and barely made any commercial impact at all. Outside the fringe precincts of college radio – a format R.E.M. helped establish – none of the album’s twelve tracks, not even the single Radio Free Europe, had garnered any significant airplay. The names of the albums say it all: Thriller. War… Murmur. Murmur had been preceded in 1981 by R.E.M.’s independently-released debut single, Radio Free Europe b/w Sitting Still, and, a year later, by the five-song Chronic Town EP, which was the band’s first record for I.R.S., the label that would be the group’s home for the next five years. Murmur, which was produced by Mitch Easter and Don Dixon (Easter had produced the earlier single and EP with the band), made an indelible impression by way of subtlety, wit and indirection – the sort of intelligent, non-confrontational subversion that Robert Fripp would call “oblique strategies.” It would prove to be one of the most influential and important albums of the Eighties. In the late Seventies punk had energized the music scene, but in just a few years the movement flamed out. Its aggression and nihilism had left few promising directions and little sense of hope. More generally, the election of Ronald Reagan in 1980 had marked a seismic shift in the political consciousness of the U.S. Compassion, community and the utopian dreams of the Sixties were out. Privatization, individualism, profit and pragmatism were in. The murder of John Lennon in December of 1980 seemed a frightening premonition of the harsh, unforgiving world being born. R.E.M.’s songs invited listeners to explore and interpret. Even though R.E.M. is never associated with what we call “Southern rock,” the band’s music was Southern in deeper, more delicate ways. R.E.M.’s South was slow-moving and interior, inclined to communicate in ways that assumed that the surface was only the most obvious part of the message being delivered. In their songs, the most accessible pleasures – the intimacy of the vocals, the melodic interplay of the guitar and bass, the galloping energy of the drums – are beginnings, not ends. The band’s very name evoked the deepest state of dreaming, the suggestion that our richest experiences may lie outside the controlled structures of our rational minds. This was a time long before the Internet, cellphones, emails, text messaging and even cheap long-distance rates. The word about R.E.M. spread steadily from person to person and town to town as the band relentlessly toured. 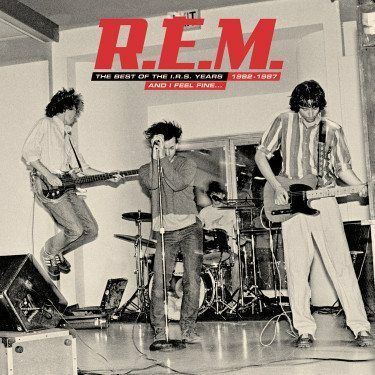 The group played everywhere and for years it seemed that everybody who loved R.E.M. had personally met its members. “When I was young, R.E.M. was my favorite band, and I went to see them in Los Angeles after Murmur came out,” Bill Leen of the Gin Blossoms said recently. “During soundcheck Peter Buck came outside, and he put us on the guest list for the next night in San Diego. We drove there, but when we got to the door somebody said, ‘No, you’re not on the list.’ But somebody went and got Peter and he fought his way through the crowd that was coming in and said, ‘These guys are okay. '” After nearly twenty-five years, Leen adds, “I’ve never forgotten that.” Such stories are legion about R.E.M. There was, indeed. Reckoning, produced once again by Easter and Dixon, came along in 1984 and R.E.M.’s magic continued to weave its spell. The title reflects the band’s apprehension that its second album might be a time of harsher judgment – with a characteristic Southernism (“I reckon…”) thrown in for good measure. They needn’t have worried. While Pretty Persuasion satisfied those fans who were addicted to the ring and chime of Buck’s guitar and the twining harmonies of Stipe’s and Mills’ vocals, 7 Chinese Bros. and So. Central Rain (I’m Sorry) summoned the yearning and sense of lost or vanishing connections that were so strong an element in Stipe’s lyrics. Meanwhile, (Don’t Go Back To) Rockville found the band in a surprising country mode, providing audiences with something the group’s more eccentrically constructed songs lacked: an exuberant, sing-along chorus. Each of R.E.M.’s three succeeding albums for I.R.S. forged new directions, and indulged the band’s desire to test its limits, both musically and thematically. For Fables of the Reconstruction (1985), the band traveled to England to work with producer Joe Boyd, who had collaborated with such idols of theirs as Nick Drake, Fairport Convention and Richard Thompson. Though in his lyrics, Stipe began to explore aspects of narrative rather than the poetic free associations of his earlier work, the album is still the most knotty, challenging and enclosed of all the band’s records. To this day one way of identifying the obsessive intensity of a fan’s devotion to R.E.M. is how he or she feels about Fables. If, like Stipe, they number it among their favorite of the band’s albums, they qualify. Two decades later it’s easy to see R.E.M. as recoiling from its brushes with fame and clinging to its Southern roots on Fables. The dramatic lighting design for the tour in support of the album swallowed the band in dark, foreboding shadows – to the point where the foursome were barely visible onstage. However, Lifes Rich Pageant, which came out the following year, reflected a conscious decision on the band members’ parts to blast away those shadows and engage the public world around them. Producer Don Gehman had made huge hit records with the likes of John Mellencamp, and he was best known for getting a big drum sound that packed real rhythmic punch. Songs like Begin The Begin, I Believe, Cuyahoga and Fall On Me resound out with a clarity that it had previously been an R.E.M. signature to avoid. That force went hand-in-hand with a sharpened political sensibility. By the mid-Eighties, Reaganism was in full swing, and Stipe, in particular, became determined to indict the failures of that ideology. Environmental and Native American issues swirl inextricably in Cuyahoga, and Begin The Begin & I Believe summon a new generation to activist ideals. Those impulses carry through to Document (1987) as well. For that album, the band members switched gears and called on Scott Litt, who had worked with the dB’s and Matthew Sweet, to co-produce with them. (Litt would go on to collaborate with the band through New Adventures in Hi-Fi in 1996.) The Iran-Contra affair, in which the Reagan Administration illegally sold arms to Iran to fund right-wing guerillas in Nicaragua, had begun to receive national attention, and it suffuses Welcome To The Occupation: “Listen to the Congress / Where we propagate confusion / Primitive and wild/Fire on the hemisphere below.” In The One I Love, which became R.E.M.’s first Top Ten single, the violence and exploitation of the political world creep into the seemingly private realm of love and emotions. It’s The End Of The World As We Know It (And I Feel Fine), finally, is a spectacular bit of apocalyptic wryness. Overwhelmed by the blood-dimmed tide of events tumbling out of control, the singer sends a sly message: Let this rigged game come crashing down (“Offer me solutions, offer me alternatives and I decline!”). What follows couldn’t be much worse, and might well be better. Lifes Rich Pageant became R.E.M.’s first Gold record, and Document went Platinum. By that point the group was ready for the world. Spanning five albums and an EP, the twenty-one songs collected here show one of the best, most exciting, most meaningful bands of our time “growing up in public,” as Michael Stipe puts it. In a way that would be inconceivable now, I.R.S. gave R.E.M. the opportunity to evolve and discover its voice without the pressure of having to generate enormous sales. Happily, sales would come later. But this is music made for its own sake, music that doesn’t pander to an audience but creates one. The joy of artistry and honest conviction are evident in every track and, just as when they first came out, these songs provide bracing inspiration in troubled times.